You are currently browsing the tag archive for the ‘North Sydney Council’ tag. 90% of the planet’s species live in rainforests. The huge & diverse range of species provides a genes reservoir. Forests purify the air releasing oxygen that is essential to life. Rainforests generate around 40% of the world’s oxygen. Forests sequester CO2 & retain vast amounts of carbon. 1 acre of forest sequesters & stores 31.45 tons of carbon annually. Without forests, human beings would not be able to exist. Forests provide food, shelter, fuel, medicine & timber making them extremely valuable in economic terms. Forests provide habitat & maintain plant, insect, bird & animal biodiversity. Tropical forests cover around 7% of the earth’s surface & provide habitat to around 50% of all the world’s plants & animals. Much of the world’s honey comes from forests. Forests regulate the water cycle. Forests also prevent flooding by slowing rainwater allowing it to be absorbed into the ground. The water cycle in forests filters & replenishes the water-table. They are often referred to as the ‘lungs of the Earth, especially the Amazon Rainforest. Forests will help mitigate global warming. Lowering the Urban Heat Island Effect. Carbon sequestration & oxygen release. Maintaining human health & wellbeing. Providing habitat & food for urban wildlife. Lowering heating & cooling costs. Lessen noise from the environment. Conserve water & help lessen stormwater runoff. The urban forest does more than pretty up an area. Basically, without trees in urban areas our physical & mental health will deteriorate & most of our urban wildlife will likely disappear. 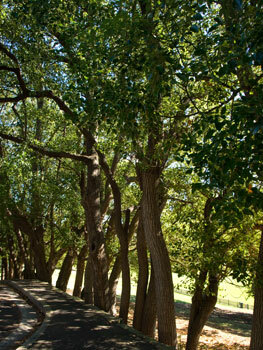 Trees increase the livability of an area. Just for interest, in 2008 the canopy cover in suburban areas of North Sydney LGA was 43%. 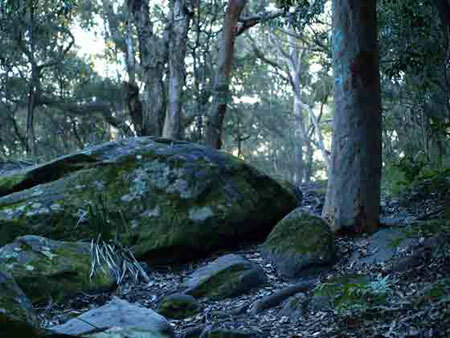 North Sydney Council say in their Urban Forest Strategy 2011 that the Internationally Recommended Target is 50%. 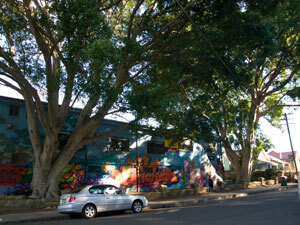 Marrickville Council do not know what their canopy percentage is as yet, but they have said they intend to find out. 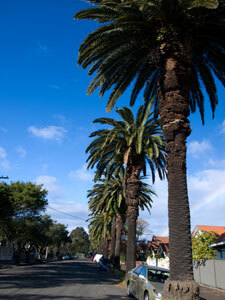 They have not yet set a target for increasing the canopy in the latest Draft Urban Forest Policy 2010. 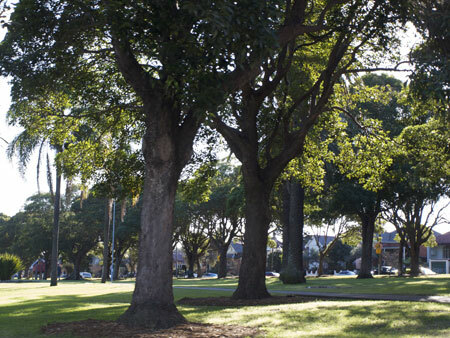 As the Internationally Recommended Target for the urban forest in suburban areas is 50% I now know why there is such a difference between Marrickville LGA & other much greener Councils across many areas of Sydney. I look forward to the day when this recommended target is met in Marrickville LGA as I believe it will have a huge & positive impact on the health, happiness & wellbeing of the community in the Inner West. 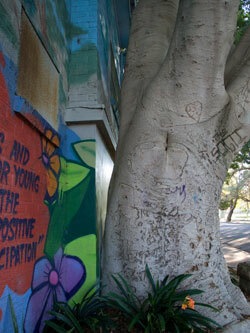 There are some stunning mature trees in Marrickville Park. The Good Weekend 21st August 2010 there was an article called The Enriched List. Michael Mobbs was first up in a list of 14 people on The Enriched List & described as a ‘Sustainability Advocate.’ I really like his work & ideas for living in an urban environment. Michael Mobbs was given a whole page photo leaning against a bale of hay, holding a chicken with rootstock sitting on a sandstone wall behind him. First impression anyone who didn’t know of his work would have is he is a farmer, not an Inner City resident of Sydney standing in his own small terrace garden. The article goes on to say Michael, an ex-lawyer, has had an interest in sustainable design for more than 20 years & is a consultant on sustainable food, water & energy projects for residential & commercial sectors. Michael transformed his Inner City house 15 years ago. He uses solar power & collects rainwater from his roof to wash clothes, flush the toilet & water the garden. He keeps bees & also started a community verge garden in 2008 for food production. His neighbours participate in this. They have 13 compost bins out on the street that are used by locals as well as other people in nearby suburbs. The compost bins – each turn 3 tonnes of food waste a year into 1 tonne of soil (& he says, remove an estimated tonne of carbon out of the air). 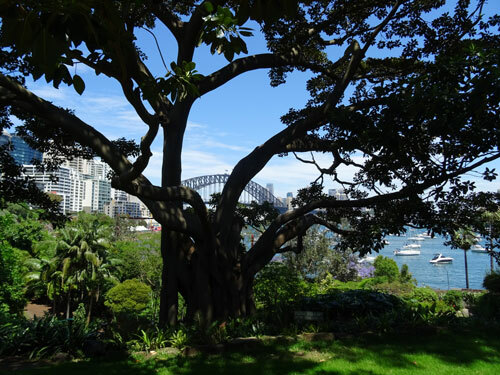 The public garden has had huge support from residents & has led to Sydney City Council & other local councils changing their policies to support growing food & composting in the streets. 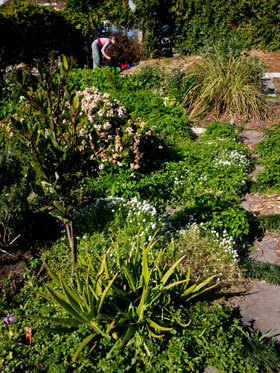 The residents at Wilga Street Dulwich Hill have a community garden on their verges. Their compost bin collects food waste from Oz Harvest & some of the local restaurants. 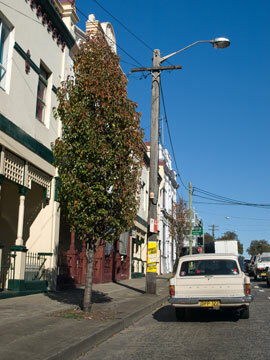 It hasn’t been going for long, but already there are vegetables growing & passion fruit climbing a power pole. I am not aware of many public community gardens across Marrickville LGA though I do know one is in the process of being set up in Denison Road Dulwich Hill. Council recently said there is no room for one in Marrickville South. Marrickville Council spends around $2 million a year mowing the verges across the LGA. Many of the verges are unkempt areas with dumped rubbish, only looking good a fortnight after the mowing. North Sydney Council stopped mowing the verges last year hoping that the residents would take over & mow their patch outside their house. It didn’t happen for the most part. Eight or so months later the grass was thigh-high forcing the Council to restart mowing services. Thing is, North Sydney Council stopped mowing to save money so they could have money to put in other areas to benefit the community. I was surprised that the residents refused to mow the verge outside their house. 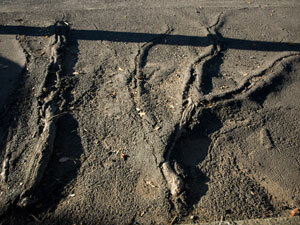 Marrickville Council does ours, but often enough, my neighbour will do everyone’s if it starts to look scraggly. Another neighbour of mine used to mow the verges across the road as well, but he was exceptional. Imagine if we decided the way Michael Mobbs is going is a good thing? Free land out on the verge, a place to grow flowers, plants & veggies. Compost bins to collect food, waste which will cut down on the weekly bin load & pay us back in free compost for our gardens. People would meet & talk with each other on the street, friendships may occur, shopping bills are likely to be less because we are growing some of our food, our kids learn about food production & about taking pride in the neighbourhood & social responsibility. Other benefits such as less Heat Island Effect as green & growing plants reduce the heat dramatically & with less heat, our cooling bills will drop. Less vandalism, probably less graffiti as this generally does not occur in pretty well-kept areas, activities for people to do, people deciding to walk because there are interesting things to see. This is probably not an exhaustive list of the benefits of verge gardens, but is what I was able to think up as I wrote. If these benefits are so easy to think up, then why aren’t more of us doing it? People do consider the space outside their house as theirs when it is convenient – my parking space, my street tree to get rid of if I choose for example, yet when it comes to taking care of it, we immediate abdicate to Council. I’d like to think there would be many of us who would consider transforming the verge outside our house. If growing veggies is too much of a leap, then perhaps a few plants, especially low growing natives that do not need much care, can be pruned so they do not become a visibility issue for drivers & will serve as restaurants for birds. We have done it & the amount of people who ask us how can they get Council to do the same for them is astounding. Everyone loves it & they think it has improved the neighbourhood. Some have said things like, “I always feel good walking past here.” Green spaces have that effect. Lawn or concrete doesn’t. 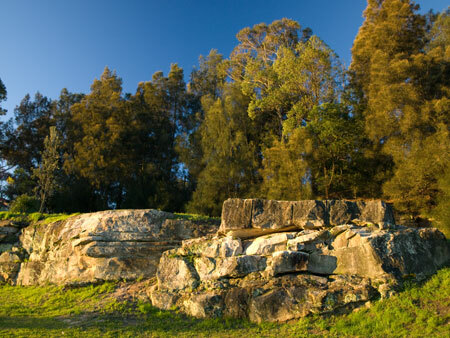 North Sydney Council stopped mowing verges early 2009, but after complaints from residents, they will now do a one-off mow at the cost of $58,000. They also intend to reinstate verge mowing by the end of 2010.